A trademark is a distinctive phrase, word or symbol used to represent your business in commerce. Trademarks are registered through the U.S. Patent and Trademark Office, and are primarily protected under federal law. However, many states provide common law causes of action to defend trademarks. Unregistered trademarks receive less protection than those that have been registered, particularly if the trademark owner has not yet applied for trademark protection. However, you may complete a trademark application at any time to begin receiving the protection of a registered trademark. Conduct a trademark search using the USPTO's Trademark Electronic Search System. If someone else has already registered your trademark, you may not register it. If a registered trademark is very similar to the one you want to register, you may want to alter your trademark. If, however, you have been using your trademark in commerce for many years, you may be able to assert ownership by right of first use. This may require the assistance of a trademark attorney. Use your trademark frequently in commerce on the items that you plan to use the trademark on after registration. For example, if you are registering a trademark to use the mark on clothing, you should use it frequently on clothing. 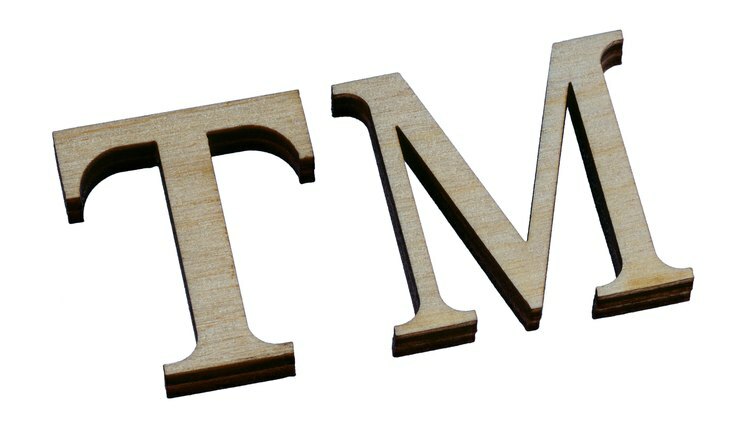 Use the "TM" symbol next to your item; this symbol denotes an unregistered trademark. You should also use this symbol after you file your trademark application until your trademark is accepted. Early and frequent use affords your trademark more protection, particularly if someone else has already registered a similar trademark or attempts to do so after you register your trademark. Notify anyone who steals your trademark that the mark is trademarked. Send a "cease and desist" letter itemizing how long the trademark has been used in commerce and enclosing a picture of your trademark in commerce as well as the other person's use of your trademark. If you have not completed a trademark application, you may need a trademark attorney to help you assert your rights. If, however, you have completed an application and are merely awaiting trademark approval, you will have more protection. The only way to establish trademark rights is to actually use the trademark in commerce. If your product is not ready for the marketplace, you do not have any trademark rights related to the product. However, if you are within 18 months of marketing your product, you can file an "intent-to-use application" with the U.S. Patent and Trademark Office to establish yourself as the first to use the trademark. A trademark is a brand name -- and includes any word, symbol, device, or combination thereof that distinguishes the goods or services of one owner in the marketplace. You hold exclusive rights to a trademark once you establish it in the marketplace or register it with the trademark office. Once you register your trademark, only you have the authority to use it to identify your product. If another seller uses your trademark, that person infringes on your trademark rights and breaches the trademark restrictions; you can then take legal action.